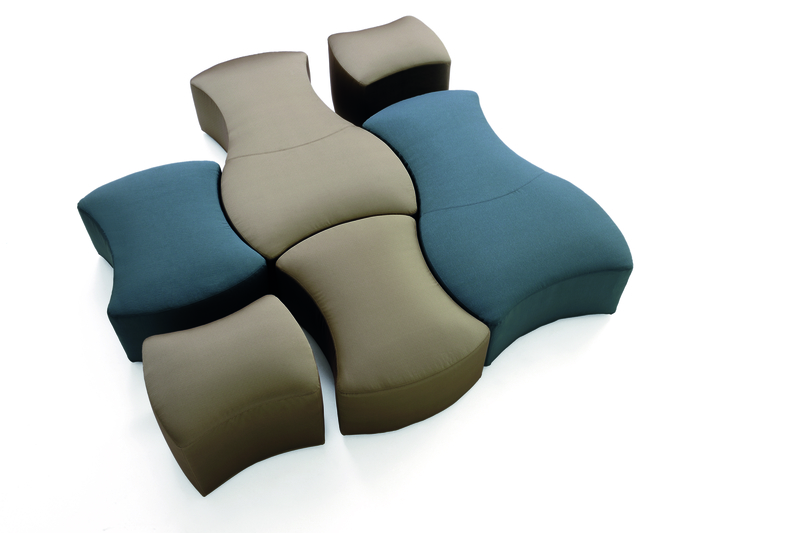 Siam is an ottoman stool, a modular system with multiple functions and uses. Designed with a poplar plywood base. The padding is in flexible multi-density polyurethane, covered in fibre. The upholstery, in fabric or leather, is completely removable. In the solid beech feet, spring-loaded spheres have been inserted which make it easy to move.